For the first time in over 40 years, scientists have discovered a new form of the toxin responsible for botulism. But they’re keeping many of the details about it a secret for fear that it could be turned into a deadly bioweapon — prompting some scientists to warn that this action can only hold further research back. As Nell Greenfieldboyce from NPR reports, new research published by Jason Barash and Stephen Arnon in two separate papers have described a novel strain of Clostridium botulinum that produces two different forms of the potent botulinum toxins. Their findings now appear in the Journal of Infectious Diseases — minus some very important details. Normally, the journal’s editors would expect the authors to disclose the genetic sequences needed to make the toxin. But the researchers refused for fear of the potential security risk. According to NPR, the editors ultimately agreed to publish the papers without the information, but only until new treatments were developed. But how can new treatments be developed if other scientists are denied access to this information? That said, Barash and Arnon have a right to be worried. Back in the 1990s, the Japanese cult Aum Shinrikyo tried to release the botulinum toxin in downtown Tokyo. And as Ray Kurzweil and Bill Joy warned back in 2005, genetic scripts like these are recipes for destruction. Botulinum toxin, which was first discovered in improperly handled meat products, is the most toxic substance known to humankind. As little as 100 nanograms of pure botulinum toxin can kill the average human. The onset of symptoms varies from six hours to ten days, with the toxin leading to paralysis of muscles involved in breathing and death. The new episode is reminiscent of Nature’s decision to publish the details of an experiment describing how the avian flu can be modified into a human-contagious form. After a temporary ban on further research, the moratorium was lifted so that biologists could preemptively work on a vaccine or cure. And relatedly, biologists in China recently created a batch of designer viruses by selectively combining genes from the H5N1 bird flu virus with those of the H1N1 swine flu strain — again just to see if it could be done, and if so, to take the appropriate measures and precautions. But Barash and Arnon, along with the editors of JID, aren’t taking any chances. The unexpected toxin, which cannot be neutralized by any of the currently available anti-botulinum antiserums, has “unusual risks and consequences for human health,” in the words of David Relman, a microbiologist at Stanford. Asked if people who needed to know the information to develop counter-measures were going to be able to access it, Mass General's Hooper says, "That was our understanding, yes." But some say that not sharing scientific work in the usual way, because of fears it could fall into the wrong hands, carries its own risks. Ronald Atlas, a biologist and bioweapons expert at the University of Louisville in Kentucky, says he agrees with the decision in this case. "But I have real concerns about how often we would do this and what it does to the overall implication of advancement in the life sciences," he tells NPR. He says that advancement depends on biologists being able to replicate each other's work and use that research to take the next step forward — something that's not possible if scientists and journals withhold critical details. He notes that if this sets a precedent and biologists start withholding information that they deem too risky, that could slow down the community's ability to do things like search for new treatments. "That's the last thing you want when you're facing a public health threat," he notes. 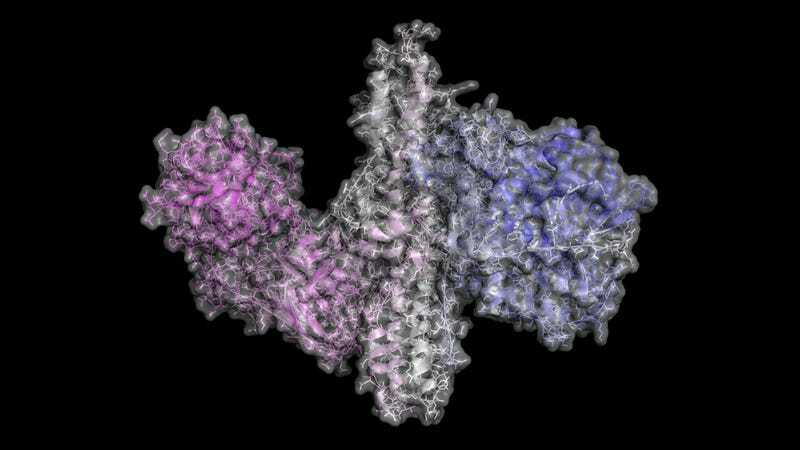 Top image: Botulinum toxin neurotoxic protein | molekuul.be/Shutterstock.